I’d love to introduce you to my blogger friend Sarah. I guest posted on her blog a few months back and am so happy to have her here sharing her favorites here today with you all. The recipe photos that Sarah posts always have me about to drool! She is a wonder in the kitchen and with the camera! Thanks for inviting me on over to My Gluten Free Kitchen, Michelle! I just love your heart for baking and for making delicious, homemade gluten free meals for your family. You’re such an encouragement to me as a fellow blogger. So thankful for our friendship! My name is Sarah and I’m the baker/blogger over at Sarah Bakes Gluten Free Treats. I have loved baking for as long as I can remember and for the past 3 years, I have been baking 100% gluten free. My husband has celiac disease and both my son and I have a gluten allergy. Most of my baking is also dairy and egg free. It was quite the adventure, learning how to transition over to gluten free baking. I finally created my own gluten free flour blend and use it for all of my baking. Now I have a passion for sharing delicious gluten free recipes with others so that they can also have the confidence to bake again! Summer, summer, summertime! Today I’m going to share a collection of perfect summertime recipes. These are just a few of my favorites, as well as the most requested from my husband and kids. All of these gluten free treats would be a fantastic addition to your backyard gatherings with friends and family this summer. It’s all about staying cool and eating yummy gluten free treats with those you love! Frozen treats are most desired on those hot summer days. 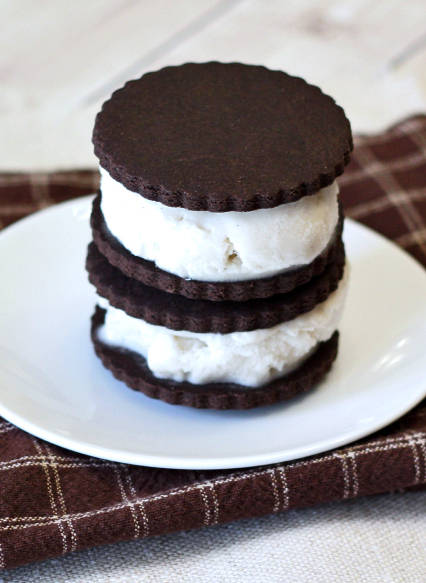 My favorite as a kid was ice cream sandwiches. When I first went gluten free, it was one thing I missed most. Now that I’ve made them homemade, they will be stocked in my freezer for sure! Individually wrapped and ready to go. If you can tolerate dairy, feel free to use your favorite vanilla ice cream in the recipe. School’s out and that means the kids are home. If your kids are like mine, they get so excited when I make them pancakes or waffles for breakfast. It doesn’t happen everyday, so it’s a treat. 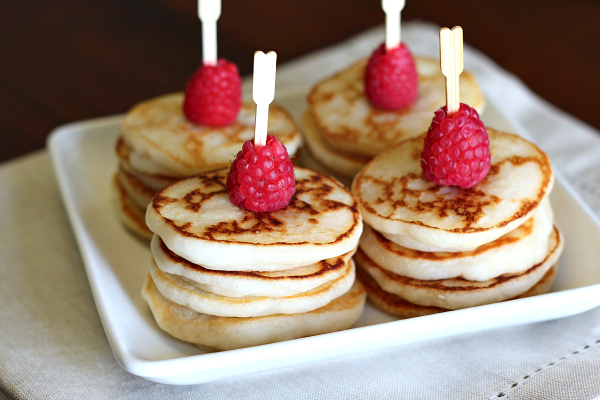 These mini lemon pancakes are quick, easy, and lovely with fresh berries. Works as a fun in-between-meal snack too! A little bit cookie, a little bit brownie. 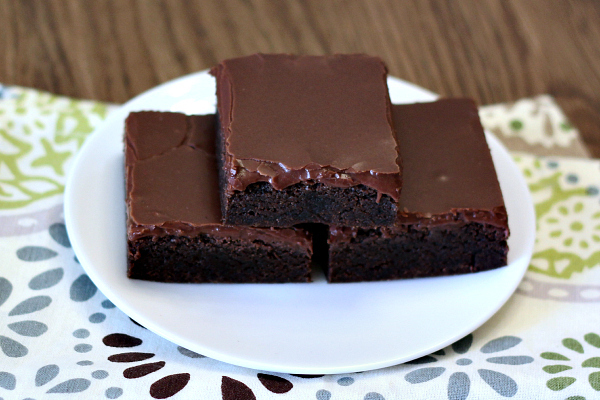 These soft chocolate cookie bars are covered in the perfect amount of chocolate frosting. I think a little rainbow sprinkles would make them even more fabulous. Bring a plate of these frosted chocolate cookie bars to your next backyard barbecue, birthday bash or summertime celebration! 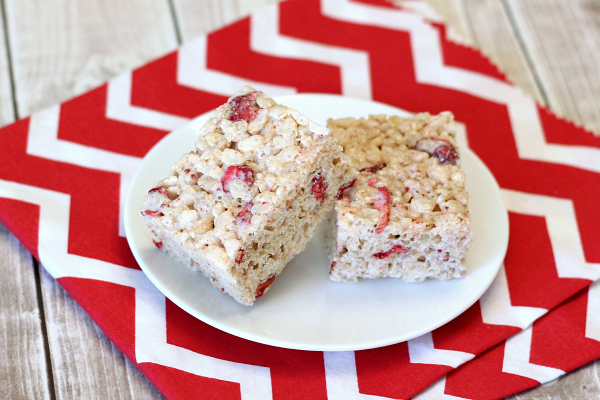 Taking that simple, yet adored, rice crispy treat and making it extraordinary by adding strawberries. Freeze-dried strawberries are mixed in and it was like they were meant to be there all along. Completely hooked! I may never go back to regular rice crispy treats again. Oh, S’mores, you make my heart happy. I’ve always had a soft spot for this campfire treat. I decided to make them in the form of a cookie, which may or may not have been a bad idea. 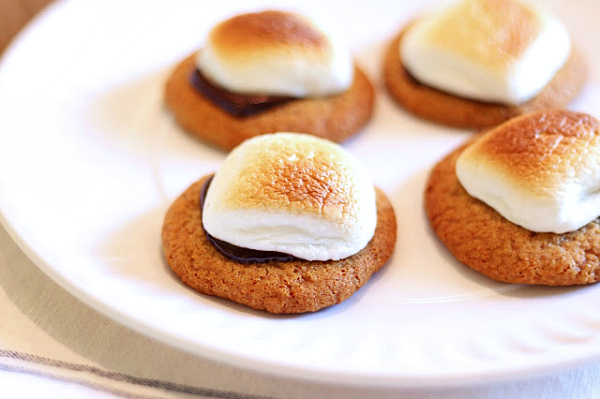 A gluten free graham style cookie, topped with dark chocolate and a toasted marshmallow. Who could resist? It’s not really summer in my house until you’ve made homemade ice cream. 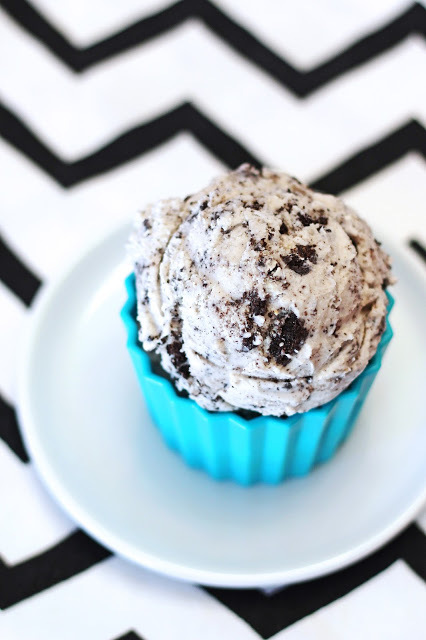 The most requested flavor…cookies n’ cream! It’s such a classic flavor that is so simple to make and loved by all. My dairy free recipe is made with rich, creamy coconut milk. Those crushed up gluten free chocolate sandwich cookies are really the star of the show. One scoop and you’ll be smitten! Check out more of my recipes at Sarah Bakes Gluten Free Treats. You can also follow me on:facebook, twitter, pinterest, and instagram. Happy baking!